This is a tribute to one of the best players and athletes of our time: Tom Brady of the New England Patriots! This is an easy print job divided into 7 parts. It is 55mm Y axes. 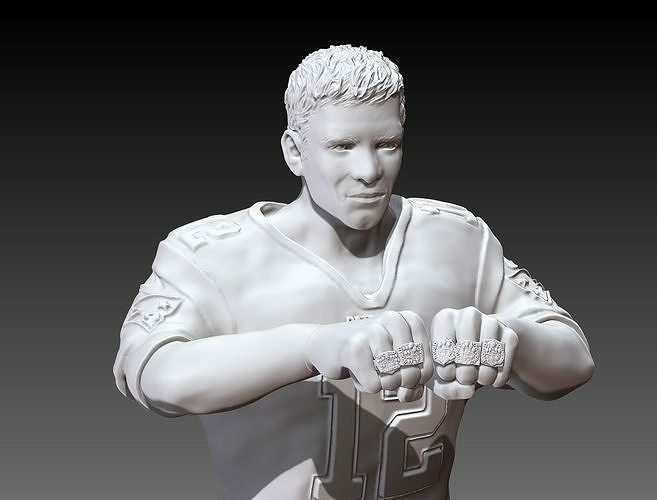 If the Patriots win a 6th ring, you will see more of Tom...with updates to the model... Enjoy!